On March 31, the Okinawa Prefectural Archives will release to the general public roughly 584,000 pages of strategy report documents created by U.S. army and marine troops during the Battle of Okinawa. The documents were gathered from among documents held at the U.S. National Archives and collected by Japan’s National Diet Library. This is the largest batch of Battle of Okinawa-related documents ever released at once by the Prefectural Archives. It is expected that Okinawa releasing as a collection these important documents gathered individually by researchers in the United States, Tokyo and elsewhere will lead to advancements in Battle of Okinawa studies. The released documents contain, among other things, Japanese military documents seized by the U.S. military during the war and records of interrogations of Japanese soldiers taken prisoner by the U.S. military. The majority of Japanese military-related documents were burned after the war, leaving many unanswered questions about the Battle of Okinawa, but these records may play an important role in filling in those gaps. The documents to be released include Battle of Okinawa-related documents from U.S. Army World War II strategy reports and U.S. Marine geographical files. The U.S. Army reports include strategy plans, strategy commands, battle reports, occupation activity reports, enemy status reports, intelligence reports and the like prepared by the army’s regional armies, armies, army corps, divisions and the like from the time of the Pacific War until around 1947. They will be released in series of the Pacific War region, 10th Army, 24th Army Corps, 7th Infantry Division, 27th Infantry Division, 77th Infantry Division, 96th Infantry Division, and 441th Counterintelligence Corps Detachment. 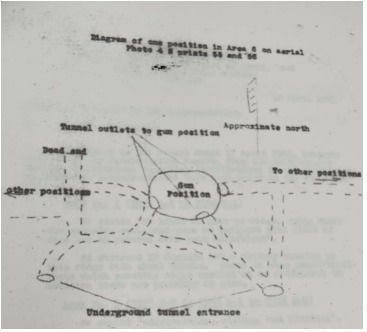 The U.S. Marines geographical files include strategy plans, strategy commands, battle reports, intelligence reports, records of prisoner interrogations and the like. They will be released by division, including task force, 3rd Amphibious Corps, 1st Marine Division, 2nd Marine Division, and 6th Marine Division. Documents created by the U.S. military in the Pacific, including these, were released by the U.S. National Archives in the 1970s, and were collected by Japan’s National Diet Library. Since November of last year, the Okinawa Prefectural Culture Promotion Association gathered documents from the National Diet Library using keywords, dates, and military units relating to the Battle of Okinawa to find relevant documents, and donated the documents to the Okinawa prefectural government. The documents are all in the original English except for titles translated into Japanese, and are recorded on microfilm. They can be read in the archive building using a microfilm reader.